Breakfast for dinner is something I always enjoy. In my mind no matter what breakfast food you make, it's no stress. I am increasingly seeing more and more breakfast casseroles. I have never made one and I became obsessed with the idea. So when I saw that my Secret Recipe Club assignment had a breakfast casserole in her recipe index I was sold. No questions. For September I had Amber from Caleigh's Kitchen. She is a newer member of the Secret Recipe Club (August was her first month) and it was fun to be one of the first to explore her blog and learn a little about her family. Amber lives in Texas but really it is so close to Louisiana they can cross borders for dinner. She studied Anthropology in college. One of my favorite classes in college was an Anthropology class about food. I took it senior year and always wondered what it would have been like to major in the subject. She also has the cutest daughter. And dog! Like I said I knew I was going to make the breakfast casserole as soon as I saw the recipe but that didn't stop me from browsing some of the other options. A few favorites that were pinned for later include the Loaded Baked Potato "Crack" Dip, Chewy Salted Oatmeal Chocolate Chip Cookies, and the Malvi S'mores Milkshake. Yum, yum and yum! So back to the breakfast casserole. It was probably a bit much for me and my husband to tackle on our own. Amber did mention it was perfect for a crowd. She was right. It took us days to finish it but the leftovers were pretty darn good. If you like eggs, sausage and cheese this casserole is for you. It is full of all three. Add to the list of ingredients some Crescent roll dough and you have quite the indulgent casserole. I added some spinach to say that dinner had some veggies in it. I am glad this was my first breakfast casserole experience and that it was such a good one. I don't think my obsession is going to end any time soon after enjoying this one so much. Thanks Amber for such a great recipe! In a separate large skillet, scramble eggs. Add in sausage/cream cheese mixture, spinach and sprinkle with some salt and pepper. Stir mixture until just combined. This is my September post for the The Book Club Cook Book Cooking Crew group. Despite my best intentions of getting the post up earlier in the month here I am posting on September 24th. As I mentioned last month this is a group where each month a new book will be chosen from The Book Club Cook Book, a cook book that has recipes from many popular recent and older novels. 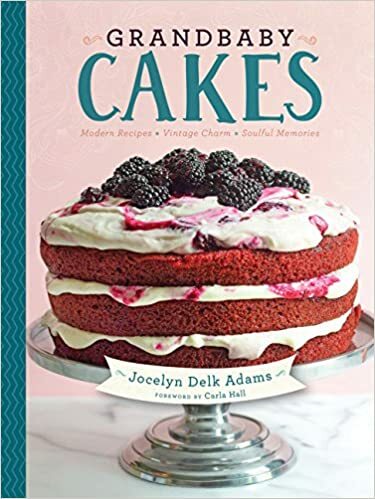 The goal of this club is to pick a book each month and either make the recipe from The Book Club Cook Book or another recipe inspired by the novel. If you are interested in join see this post from Camilla, our leader. There is a giveaway at the bottom of this post for The Book Club Cook Book so keep reading. This September book was A Lesson in Dying by Ernest J. Gaines. I wasn't familiar with this book until this month. I always love being introduced to something new, especially a good book. The book takes place in Louisiana and has all sorts of Southern flair including the food. The main character, Jefferson, is on death row. His grandmother sends all sorts of food to him to show him kindness and love. At first he refuses but then finally accepts the gifts. The acceptance is a turning point where Jefferson feels worthy again. One of the food gifts Jefferson's Grandmother sends is tea cakes. These are a Southern specialty that is a cross between sugar cookies and scones. I was thinking about making some jambalaya for my recipe this month but my sweet tooth won out once I saw the Book Club Cook Book recipe. The tea cakes are sweet but not as sweet as a typical cookie. You can tell why they have the name tea cakes once you try one because they would go great with a cup of tea. The recipe makes a bunch - about 5 dozen cookies. We were eating theses for days which definitely wasn't a bad thing. I only wish we could have had an in-person book discussion to share these cookies. Add eggs beating until blended after each addition. Add lemon peel, beating until blended. Combine flour, soda, and salt; gradually add flour mixture to butter mixture, beating at low speed until blended after each addition. Divide dough into 4 portions. On a lightly floured surface roll out dough to 1/4-inch thickness on a floured surface. Cut out cookies with a 2 1/2-inch round cutter, and place 1 inch apart on parchment paper-lined baking sheets. Bake at 400° for 8 to 10 minutes or until edges begin to brown; let stand on baking sheet 5 minutes. Remove to wire racks to cool. Repeat procedure with remaining dough. If you are interested in participating see this information post from Tortillas and Honey. This month Renee at Tortillas and Honey, this month's host, is giving away a copy of the book. * Enter to win a copy of the cookbook so you can join us in future months, if you wish! One of our lucky readers - US and Canada only! - can enter to win a copy ofThe Book Club Cookbook, Revised Edition: Recipes and Food for Thought from Your Book Club's Favorite Books and Authors by Judy Gelman and Vicki Levy Krupp, courtesy of Tarcher-Penguin. Giveaway runs from September 1st till September 30th at 6 o'clock PM, Pacific time. Please see terms and conditions in the rafflecopter widget below. Many thanks to Tarcher Books. You may find Tarcher: on the web, on Facebook, on Twitter, and on Pinterest. *Disclosure: Renee received a complimentary copy of The Book Club Cookbook, Revised Edition: Recipes and Food for Thought from Your Book Club's Favorite Books and Authors by Judy Gelman and Vicki Levy Krupp to use in this year-long project plus the opportunity to give a copy away. Opinions are our own. We received no further compensation for our posts. Are you ready for a long weekend? Although I am still dumbfounded that it is already Labor Day I am super excited to have some time to relax. We are actually extending the weekend even more and taking the whole week off. And no kitchen work. We decided to take a real break and just enjoy each other. In anticipation I have been brainstorming special treats throughout the week. As the norm most have to do with food. As part of my long list I wanted to make zucchini bread. As I thought more and more about making zucchini bread my patience wore thin and I ended up making some early. And this isn't just any zucchini bread. It has double chocolate and cinnamon. Much more of a dessert bread than a breakfast snack. Although a little chocolate in the morning never hurt anyone. You needed to spend a bit of effort soaking up the extra moisture in the zucchini otherwise you will have sloppy bread. But even with all the water you take out this recipe still leaves you with a super moist and rich bread. I took a couple of slices before it even cooled. What can I say the smell of warm baked goods, especially with chocolate, are irresistible to me. So if you have a bit of extra zucchini (don't we all), make some bread and add some chocolate. You won't regret it. I promise. Preheat oven to 350°F. Spray a 9x5 loaf pan with nonstick spray. Set aside. Place the shredded zucchini on a couple paper towels to absorb some of the moisture. Press a paper towel on top as well, squeezing to get out the extra moisture. In a large bowl, whisk the flour, cocoa powder, baking soda, baking powder, salt, cinnamon, and chocolate chips together until combined. Set aside. In a medium bowl, whisk the eggs, oil, yogurt, sugar, and vanilla together until completely combined. Pour the wet ingredients into the dry ingredients and lightly whisk until combined. Using a rubber spatula or wooden spoon, fold in the zucchini. Pour batter into prepared baking pan. Allow bread to cool completely in the pan set on a wire rack. Slice and serve when bread has completely cooled. Oh my it is September. September is my favorite month. I look forward to this time of year every year. But in all honesty it really took me by surprise. How is it September already? Besides the obvious favorites of apple and pumpkin goodies, hooded sweatshirts and colorful leaves Septembers marks my birthday month. I am turning 31 next week. Do I feel old? Yes and no. I will always look forward to birthdays, mine and everyone else's. Life definitely changed this year with the arrival of Olivia. And although I struggled sometimes with these changes (like a night of no sleep followed by a long day at work) I truly enjoy the direction my life has taken. 30 was a great year and I am looking forward to what I and my family are going to experience this next year. As part of my celebrating I intend to treat myself to a few goodies. My birthday and Christmas lists are ongoing. I add to them throughout the year in anticipation of these big events. You know, I want to be helpful in case family members need some ideas. I don't think I will ever be too old for gifts. So for those of you who might want to treat me to something special next week, here are a few recent favorites. Cookbooks! I have my eye on two this year. 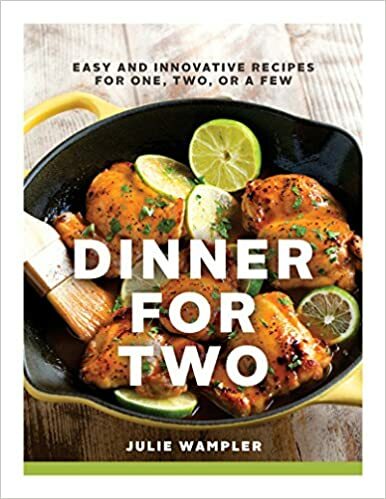 Dinner for Two by Julie Wampler and Grandbaby Cakes by Jocelyn Adams. 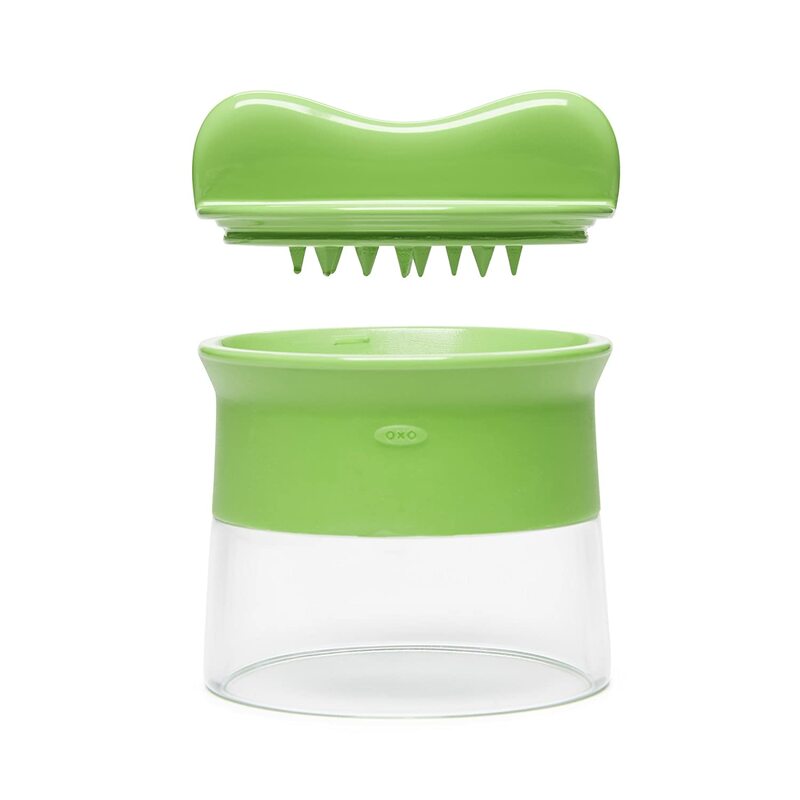 I have been holding out on a spiralizer for months. OXO just came out with this small handheld version. And this marble slab from Sur la Table. I see it fitting in perfectly with our new kitchen. I also want about a bizillion things for the house. But a new couch probably isn't going to happen for my birthday. Now I just need to decide on a birthday cake.